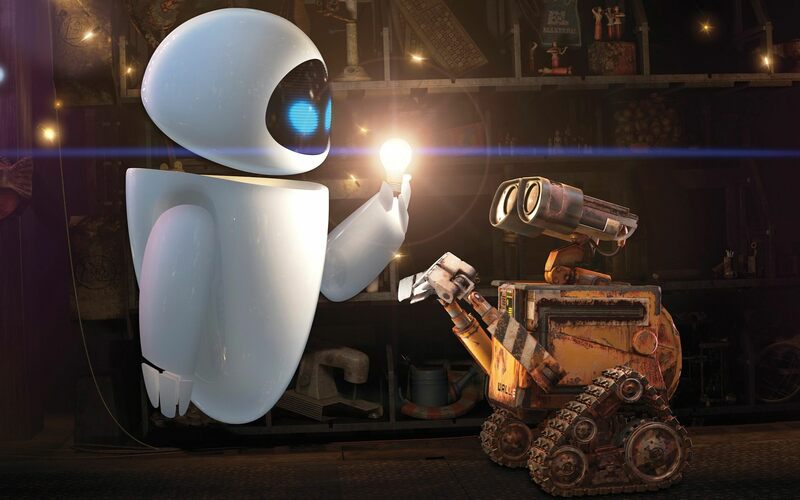 This is a picture of Eva and WALL – e when he shows Eva the lightbulb. I would say this is a mid-shot . There’s another common kind of shot in film that I haven’t mentioned yet, called a ‘2-shot’ … when there are 2 people in the frame. This is one of those as well as being a mid-range shot.